High Definition (HD) video surveillance can help protect you against shoplifting, burglary, employee theft, vandalism and slip-and-fall liabilities. You can watch over your business or home from across town or miles away while recording it locally for future playback. 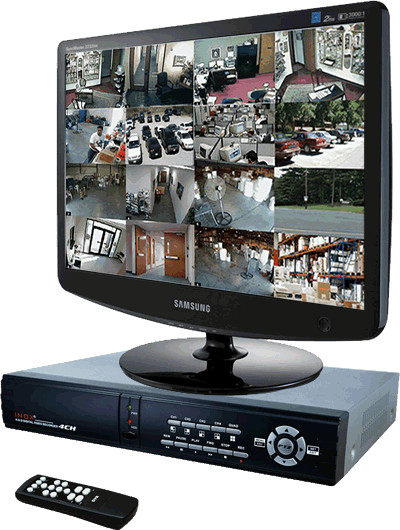 Surveillance video systems let you manage visual information from virtually any place, anytime. Quickly and easily view what is happening now or in the past with a remote-access video surveillance system using a web-enabled device. Now you can use the latest available technology to view and record video in high definition (HD). You can even upgrade your current system with HD quality surveillance video cameras and Digital Video Recorders (DVR) using the existing wiring. Come visit our showroom and see for yourself the high quality video you can have. Warning: Do not buy surveillance camera systems over the internet even if they are cheap – there is a reason they are cheap. When something goes wrong with it or you can’t figure it out, you’re stuck! Come to our showroom where you can see a sample in action so you know what you are getting and can get help when you need it. 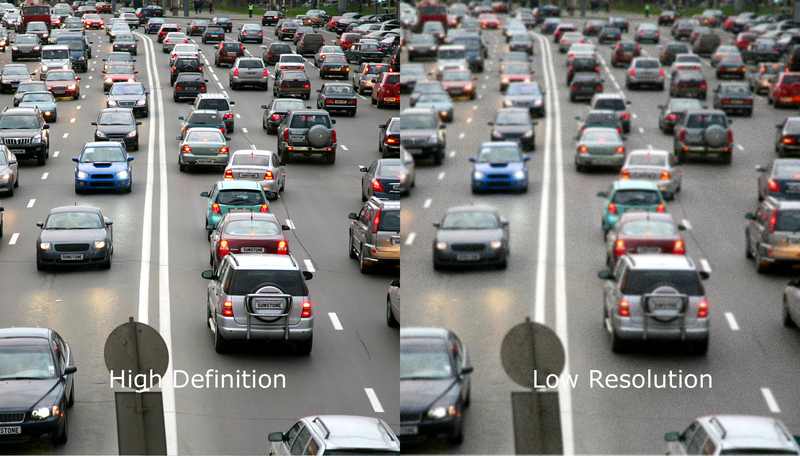 All of our cameras offer High Definition (HD) 1080P resolution. Bullet cameras are often used outdoors. It has infra-red illumination for night time viewing which can see activity up to 150′ away in total darkness. This camera comes with a varifocal lens (2.8-12mm), which means that there is a zoom capability that can be set at the time of installation. It can be zoomed out if you want to see a wide area, or zoomed in to see a smaller area, but with more detail. 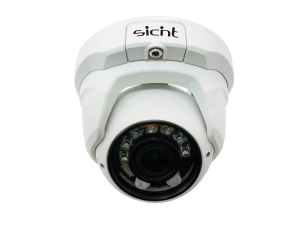 All of our cameras offer High Definition (HD) 1080P resolution. This camera is similar to the Bullet Camera above, but can be used when the area you want to see is far away. The infra-red illuminators allow night time viewing of objects up to 300′ away. It has a much larger zoom capability (5-50mm) which can bring those far away objects up nice and close. 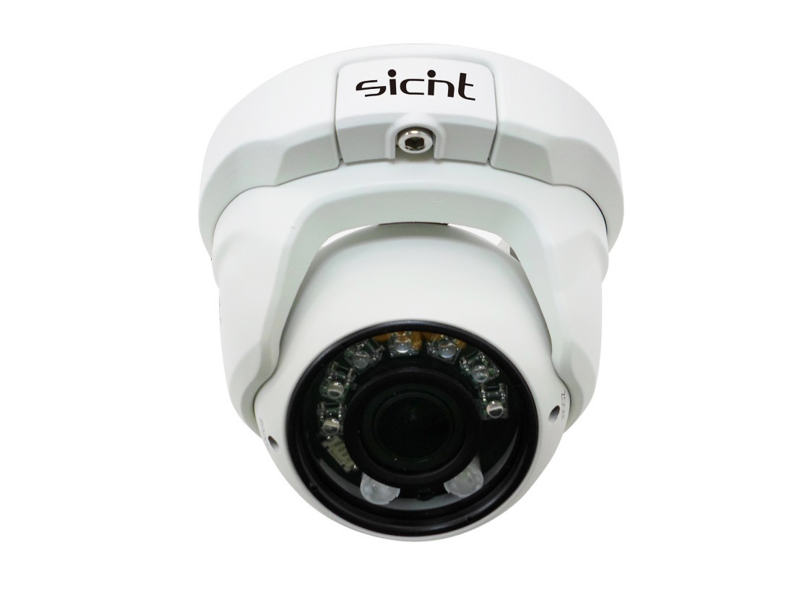 All of our cameras offer High Definition (HD) 1080P resolution. 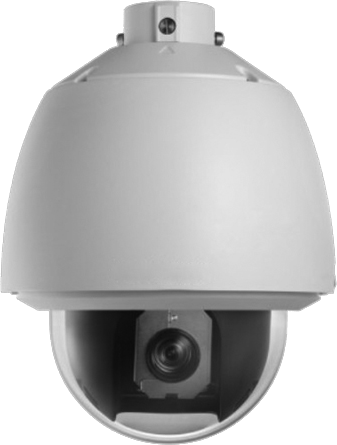 Similar to the Turret Camera below, this camera is very versatile in that it can be mounted on almost any surface and be aimed in any direction. The camera is like an eyeball in a socket. It comes with either a fixed wide angle lens or a varifocal lens (2.8-12mm), which means that there is a zoom capability that can be set at the time of installation. It can be zoomed out if you want to see a wide area, or zoomed in to see a smaller area, but with more detail. It has infra-red illumination for night time viewing which can see activity up to 150′ away in total darkness. 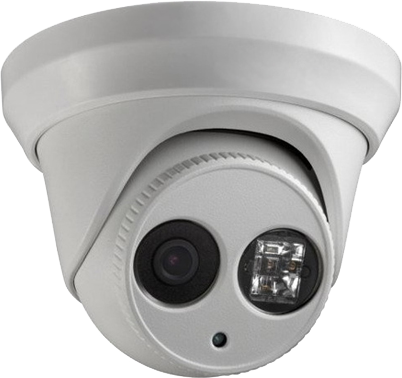 All of our cameras offer High Definition (HD) 1080P resolution. See in total darkness. In good lighting, the camera gives great video in full colour. When it gets dark, the camera switches to night mode, turns on the infra-red illuminators which will allow the camera to see what is happening. The night time images are usually in black & white rather than colour, and the image quality is not as good – but at least you see what is happening even though it is totally dark in the area. The distance the camera can see in the dark is dependant on the number and strength of the illuminators, and usually range from about 30 ft. to 100 ft. The illuminators do not emit visible light – they emit infra-red light which is invisible to the human eye. These cameras can come with a varifocal lens, which means that there is a zoom capability that can be set at the time of installation. It can be “zoomed out” if you want to see a wide area, or zoomed in to see a smaller area, but with more detail. Pan-Tilt-Zoom cameras have the ability to pan from side to side, up and down, and zoom in and out. They can be programmed to follow a pre-programmed pattern repeatedly, or a person can manually control them with a path. If there is a suspicious person, you can follow them around the store or parking lot, zoom in to get a close up shot of a face or licence plate, then zoom back out to get a wide angle view, etc. 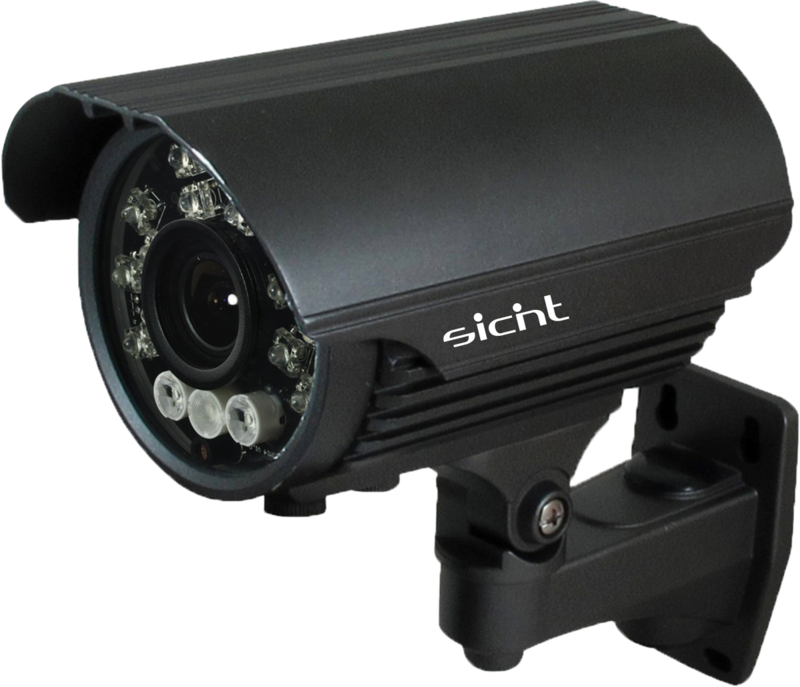 These cameras are more costly and work best when there is a person watching the monitor and directing the camera as needed. 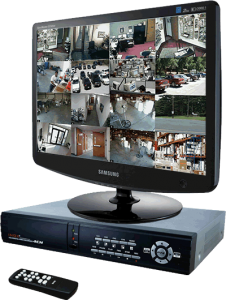 A DVR or NVR is the main hub of your surveillance system. It contains a hard drive which records and saves your video. Connect a monitor and you can view the cameras live or playback the recorded video. A DVR is used for standard cameras that plug into the back of it. An NVR is used when you have IP cameras which are usually connected over a computer network. From here-on, we’ll use the term DVR to cover both DVR and NVR. DVRs come in different sizes corresponding to the number of cameras that can be connected. The most common sizes are 4, 8, 16, or 32 camera models. Be careful to order the model based on the maximum number of cameras you will ever want. DVRs will record video until the hard drive is full, then they will automatically delete the oldest video to make room for new video. Usually DVRs are set up to record only when there is motion detected (a certain amount of pixel changes on the screen) so when playing back the recorded video you don’t have to sit there watching nothing for hours on end. How far back you can go to see recorded video before it is deleted depends on the size of the hard drive and how much motion there has been to cause the system to record. Typically you can go back several weeks or even months. Just increase the hard drive size if you want more. If you want to keep a certain incident, you can back up video clips to a flash drive. Perhaps the most important element of a surveillance system is how clear the video will be when you play it back to see what happened. This is where the newer HD (high definition) cameras and DVRs shine. 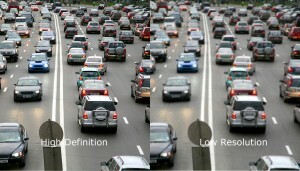 The picture on the left demonstrates the difference between an HD system and an older standard resolution analogue system. You will likely want to get a system with a resolution of 2 megapixel (MP) or 1080P. 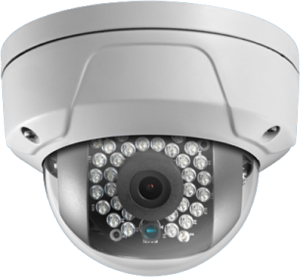 Most surveillance cameras have IR (infrared) illuminators built-in for night time viewing. This allows you to see what is going on in a completely dark room. The illuminators to not emit light visible to the human eye, but make it so that the camera can see. However, as the picture on the left shows, the image is not as clear as when there is good lighting, but it is better than just a black screen. Different cameras have IR illuminators that can illuminate to a certain distance from 30′ to 300′ or more. Talk to an expert. Explain what you need and expect and let him/her match the right equipment to your needs. See it before you buy. Go and visit the showroom where a sample system is set up and see for yourself so you understand what you will be getting and how it will work. Make sure you will get good service from the company for when you need it, because at some point you will. Many, many people have purchased over the internet and had nowhere to turn for help when something goes wrong. DON’T BE ONE OF THEM!! 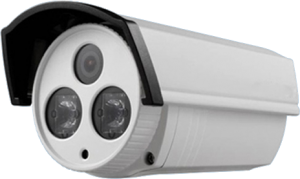 We provide installation for our security surveillance cameras in Kitchener Waterloo, Cambridge, Guelph and all nearby areas.